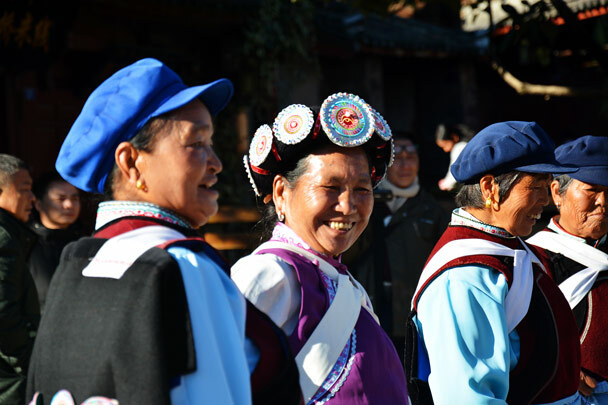 In Brief: Forty photos from a fun trip in Yunnan Province, with plenty of pictures from side trips and walks. 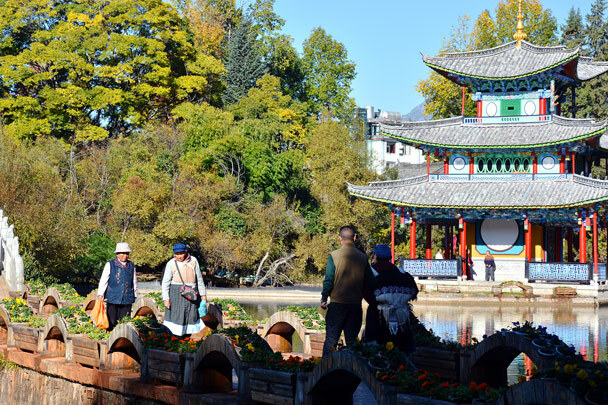 Our five-day trip to Lijiang and Shangri-La hits the key sights of the two towns, and includes walks and side trips that explore more of what is often overlooked on visits to the area. 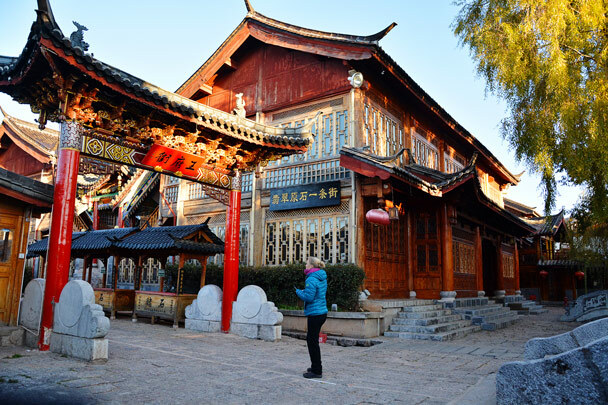 We start out in Lijiang, visiting the old town and hiking in the surrounding countryside. 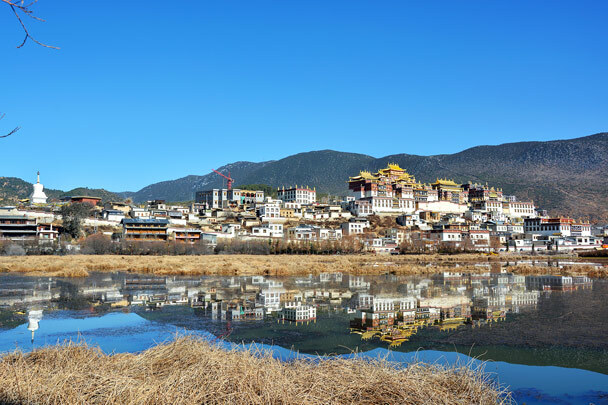 After a good look about in Lijiang, we drive on through the mountains to Shangri-La, where the main sight is the Songzanlin Monastery. 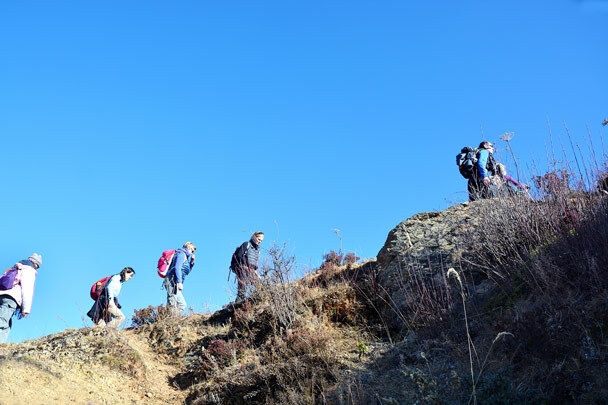 See all the photos from the 2016 trip below! 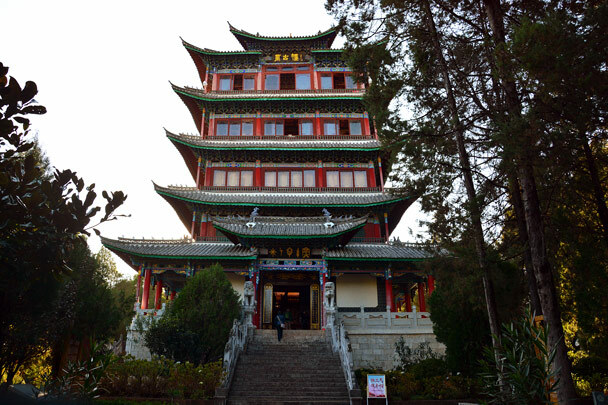 The Wangulou Pagoda on Lijiang’s Lion Hill. 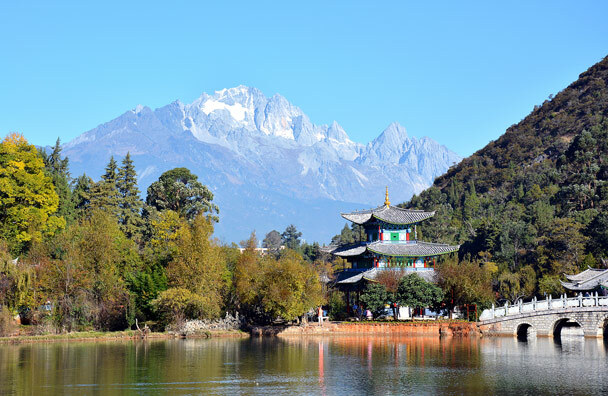 Lijiang's Old Town in the foreground, the new city in the middle distance, and mountains behind. 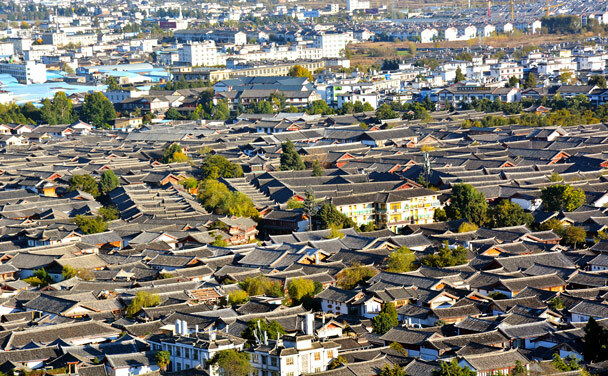 A bird’s-eye view of Lijiang ancient town. 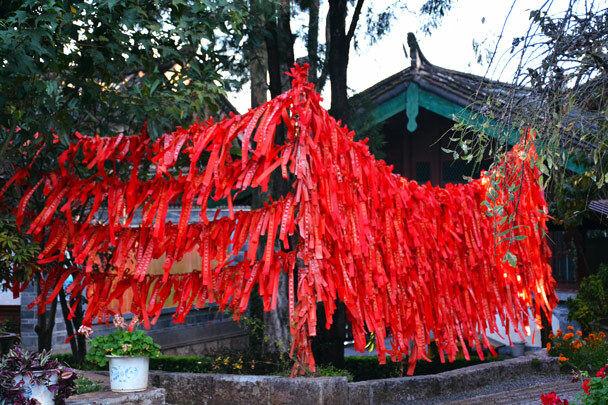 Red ribbons for good luck. 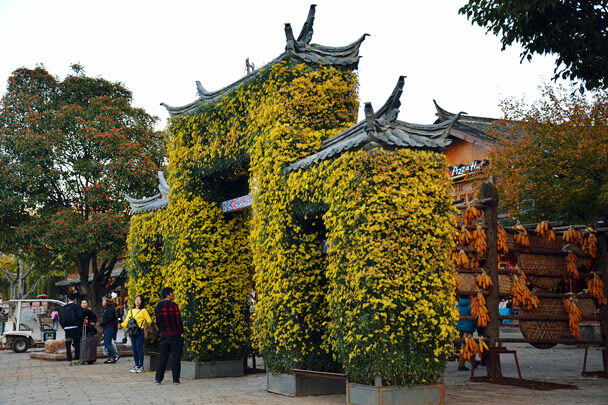 An ornamental gate for a guesthouse. 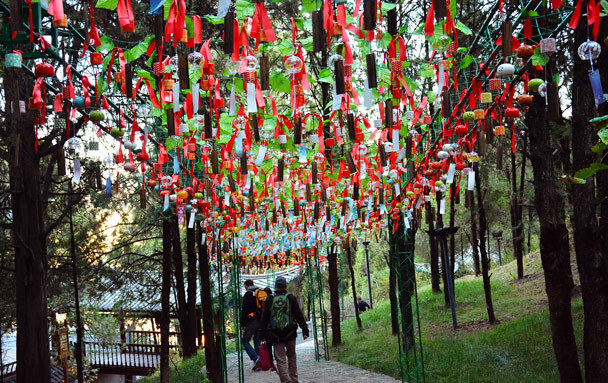 Wind chimes in a park. 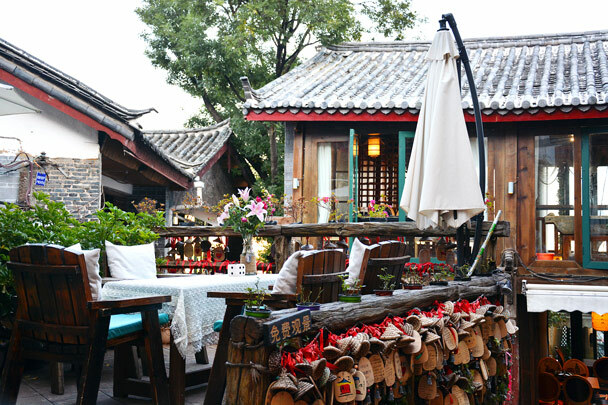 One of the many bars in Lijiang’s old town. 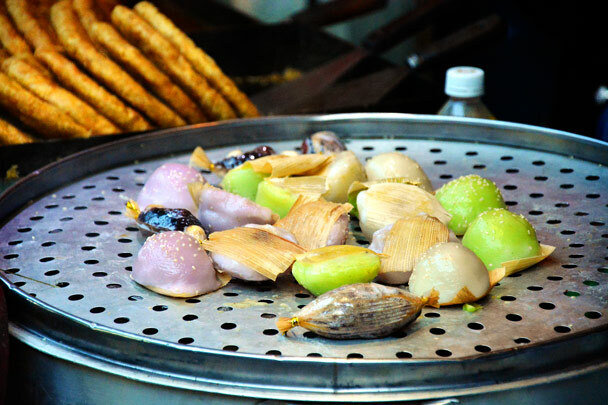 Local Lijiang snacks, made from barley flour. 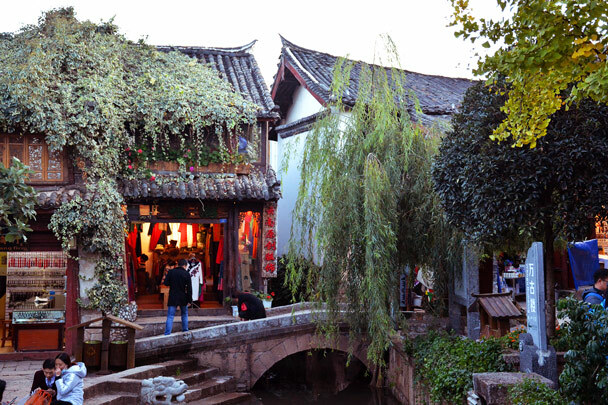 One of the old bridges over the canals of Lijiang's old town. 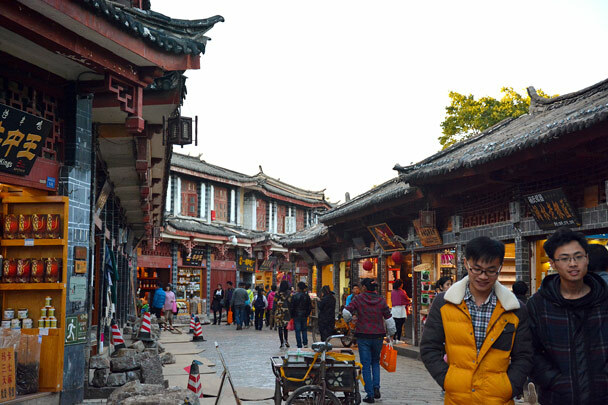 Stores selling snacks and trinkets in the lanes of Lijiang. 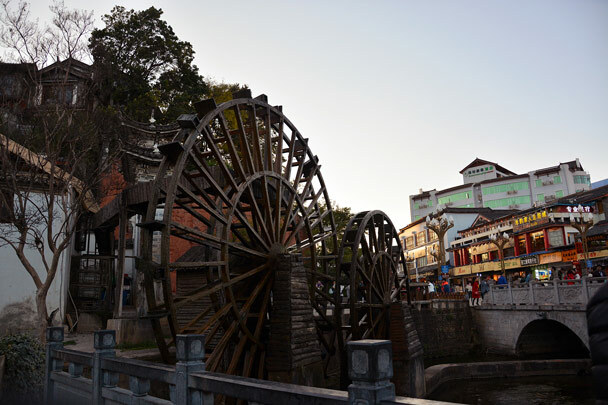 One of the landmarks in Lijiang ancient town—water wheels. 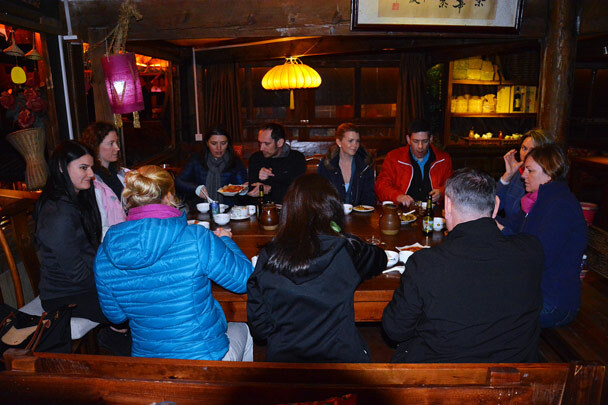 Our first dinner in Lijiang – local cuisine and plenty of Shangri-La beers. 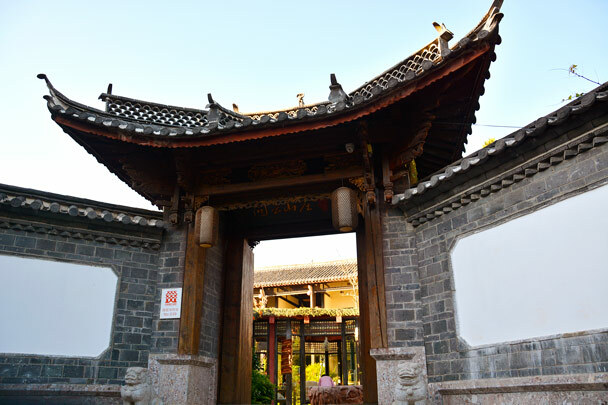 A decorative archway, with engraved characters that mean loyalty and righteousness. 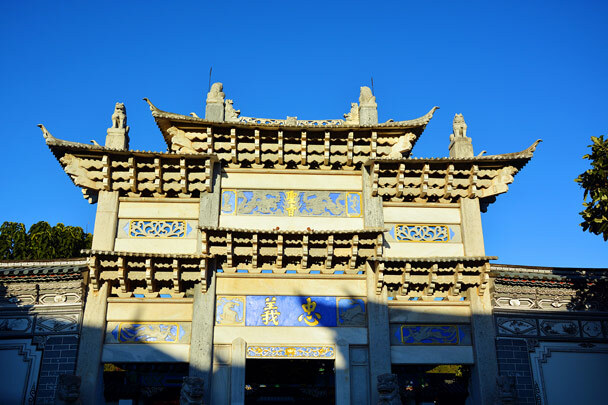 A street for buying jade – a little bit of a gamble unless you know what you’re looking for. 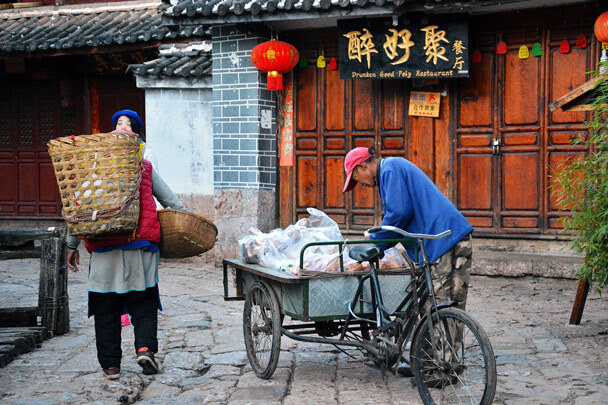 A morning scene in Lijiang, with people taking goods to the local market. 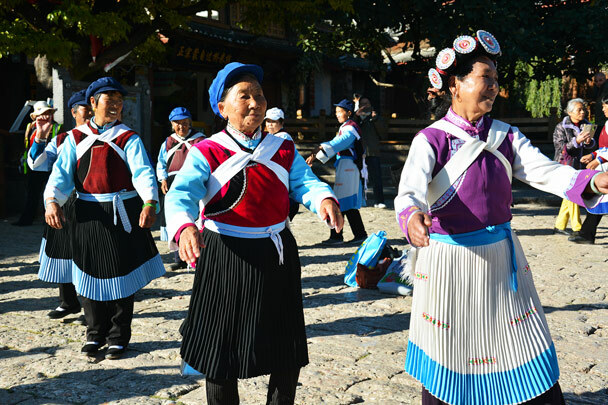 Naxi ladies dancing in the town square. 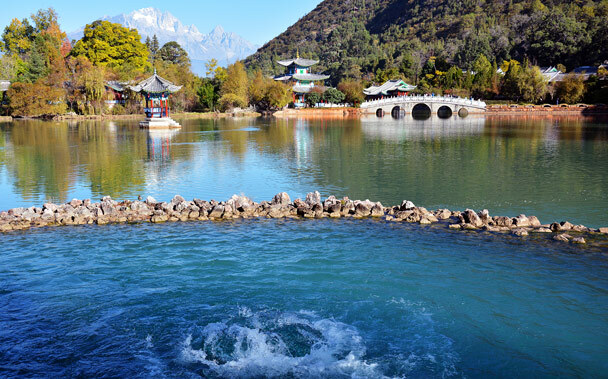 The spring in Black Dragon Park. 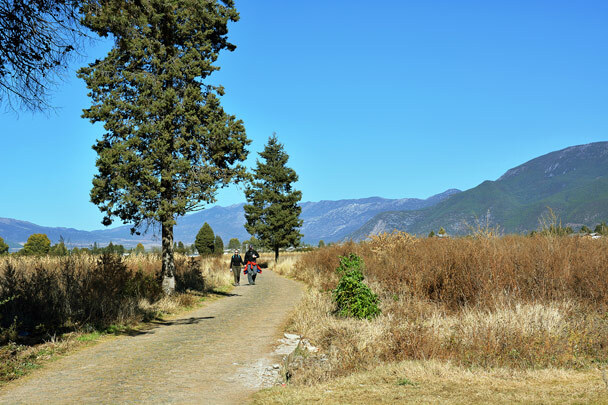 Locals out for a morning walk. 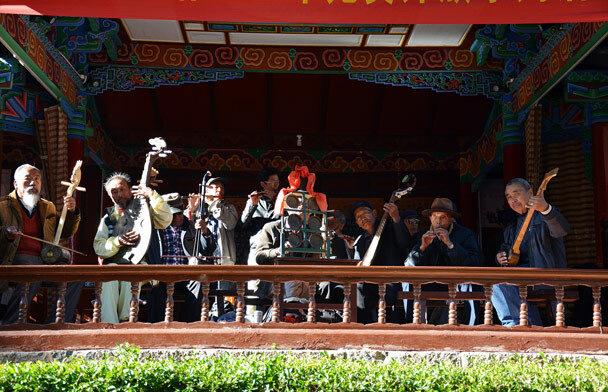 Traditional songs and traditional instruments. 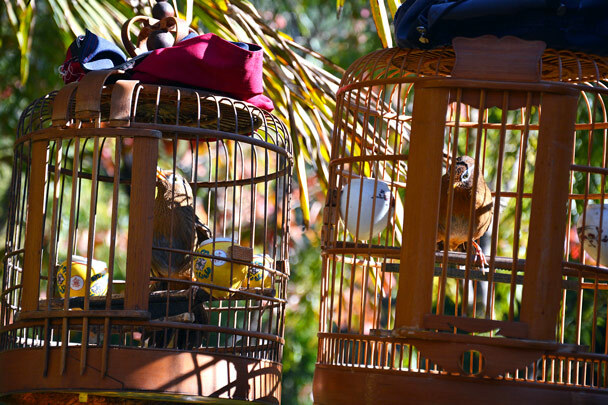 People bring their birds down to the park – a bit like taking your dog for a walk. 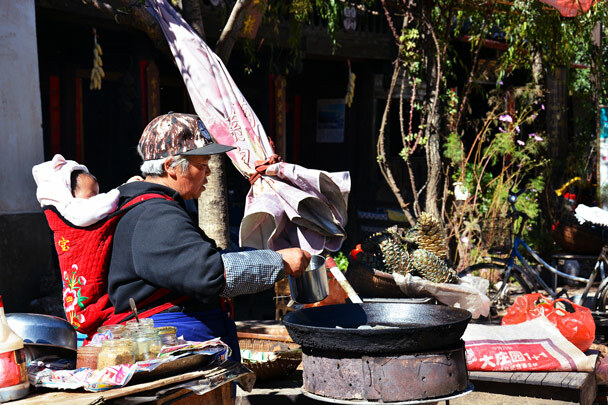 Preparing local snacks with her grandchild on her back. 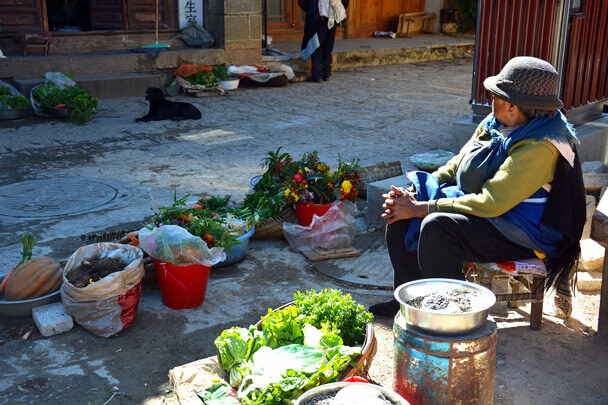 Fruits and flowers for sale in a countryside town. 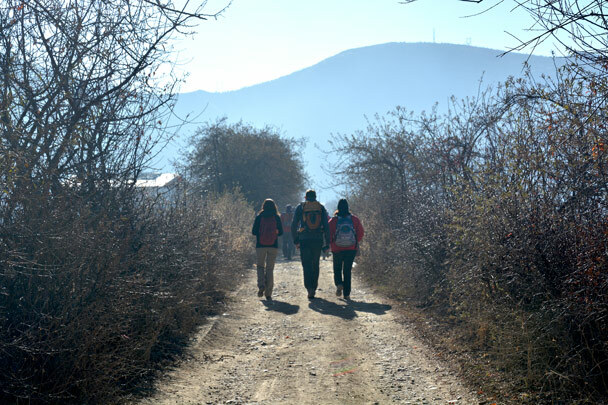 We hiked through the countryside. 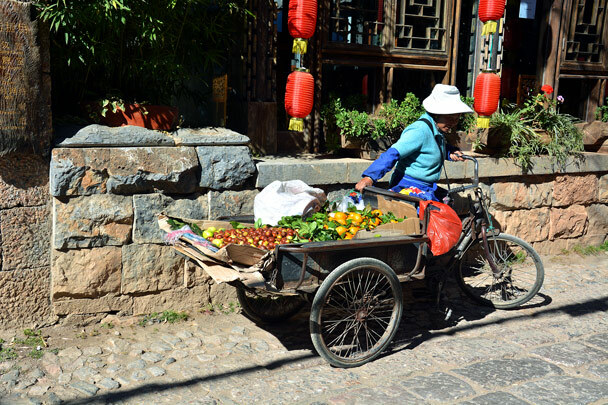 Fruit for sale in another countryside town. 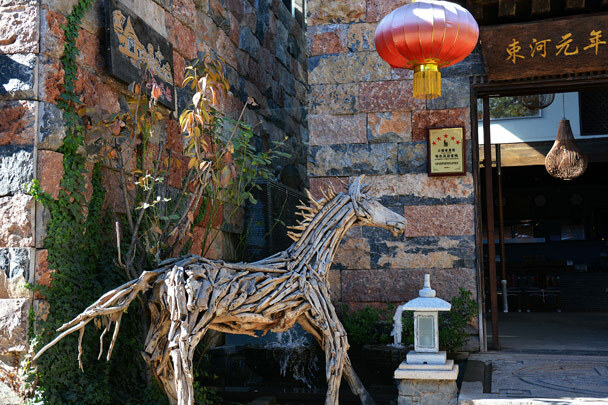 The ancient Horse and Tea Road went through this area, and the wooden horse here commemorates that. 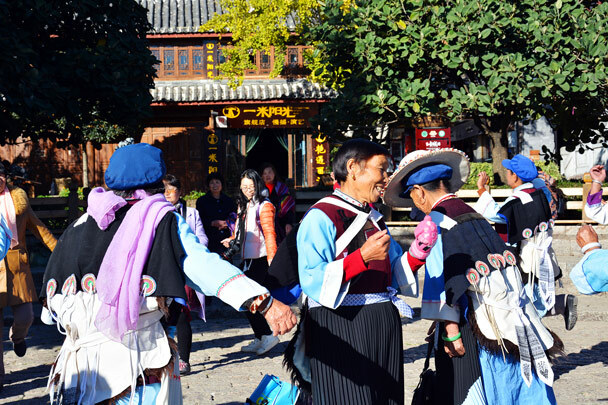 Dressing up like a local. 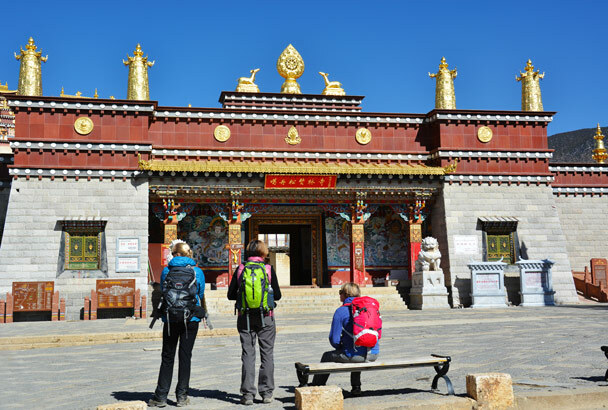 We’re now in Shangri-La, on a hike to Songzanling Monastery. 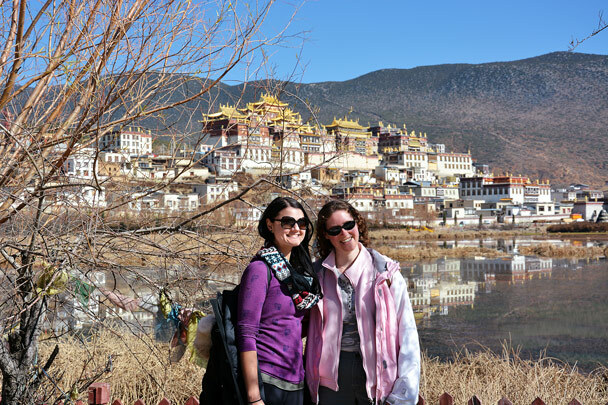 Up the big hill in front of the monastery. 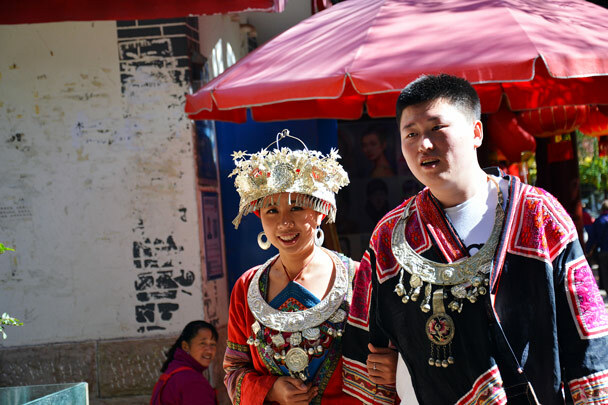 Tibetan lady taking a break from collecting grass. 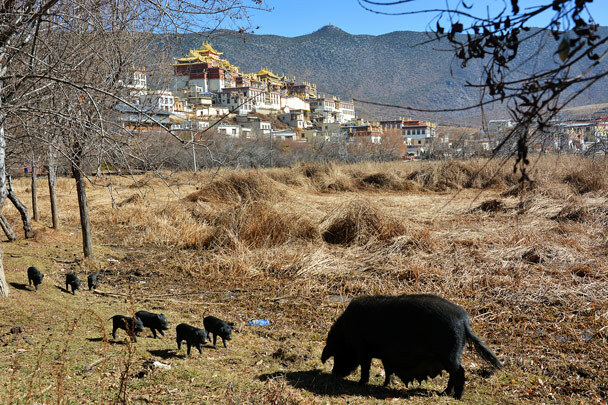 Pigs in front, and the Songzanling Monastery behind. Great spot for a photo. 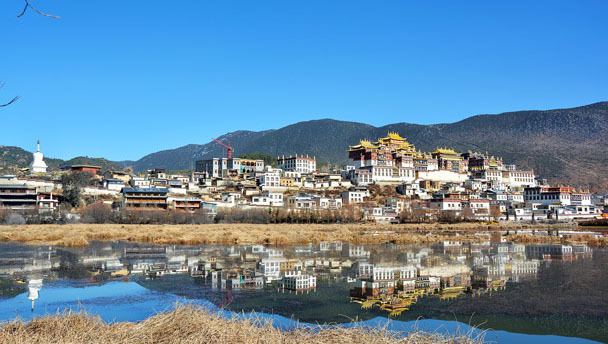 The monastery reflected in the lake. 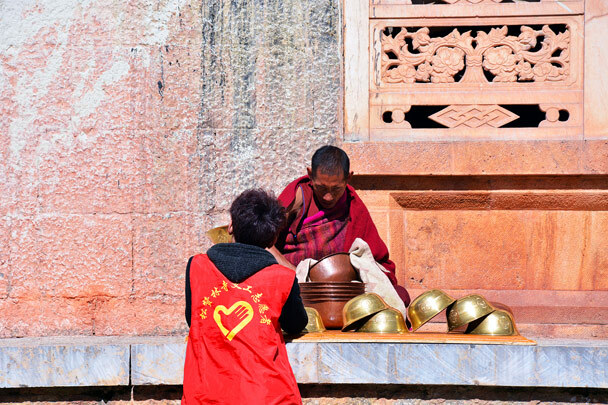 A monk cleaning bowls which are used to accept offerings. 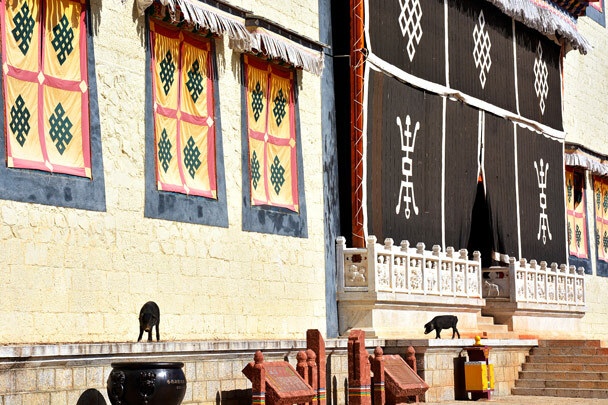 The pigs got into the monastery as well. 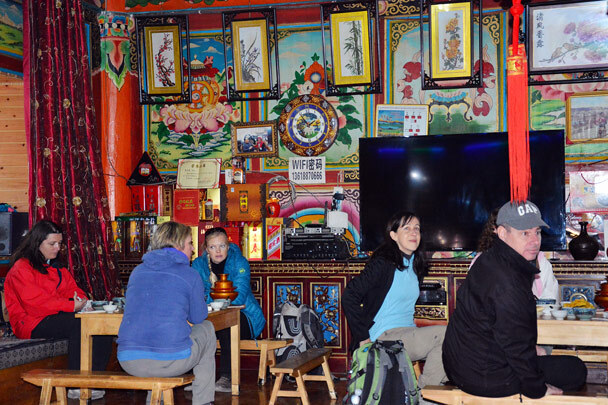 We visited a Tibetan family guesthouse for lunch. 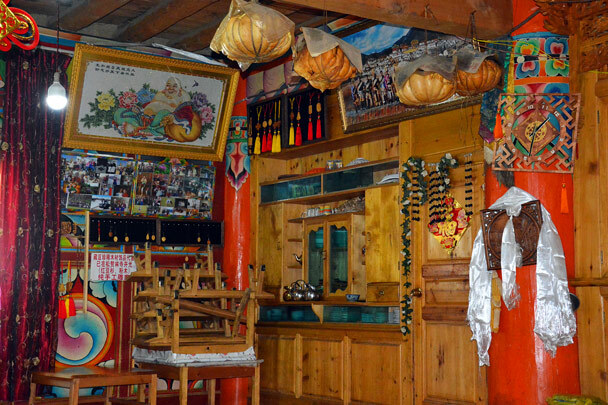 The guesthouse was very colourful inside! 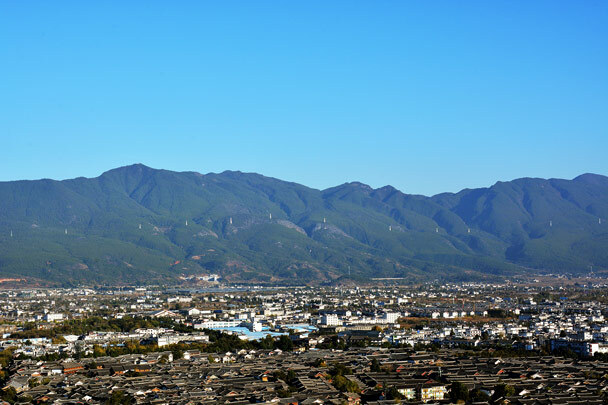 In Brief: See 17 shots from a walk on the Great Wall at Huanghuacheng, starting by the reservoir and finishing by the Walled Village.